For the last few weeks, I’ve been inviting people to talk to me about their biggest struggles, to see if they could be explained – and fixed – by identifying the Sales Wound™ at the root of the problem. Thanks for reading this. 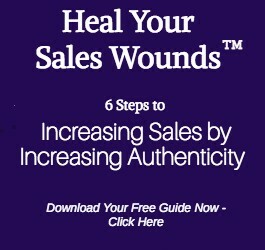 I hope you’re having a great week, and I look forward to doing a Sales Wounds™ interview with you soon.